You might remember that day late last year, when we couldn’t get enough of a debut track from Bristol musician Rebecca Clements. Well luckily, her camp is back with some new music for us to share. 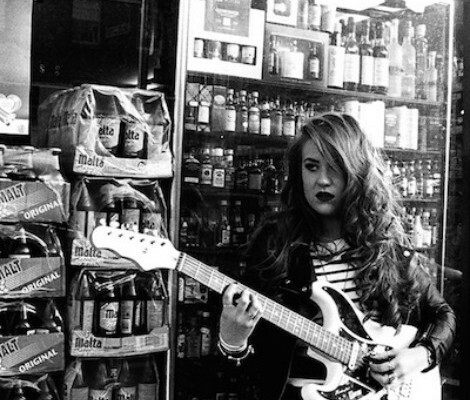 Take a spin of “Pure Wasted” from her debut EP of the same name, released just days ago. Irish musician Iain Archer (Jake Bugg, Bat For Lashes) helped with production, adding his experience to Rebecca’s natural ability to write gripping melodies. In the words of Rebecca: It’s about losing someone you’re with to the strong stuff. Making a play on words of ‘Pure Wasted’, pulling together the idea of a pure substance and a pure love, both are equally as toxic. Essentially, it’s a love song. But I wanted it to feel more than that, to tell a story rather than play the victim.